The Monmouth M.S.N. program provides the opportunity to become an advanced practice nurse, a in-demand role in our changing health care environment. Our program will help you build confidence in the intellectual and clinical proficiency you need for advanced practice nursing. You’ll be mentored to reach your full potential by developing autonomy, leadership, and professionalism. The Family Nurse Practitioner track focuses on the care of a patient population throughout the lifespan, from newborn to older adult. There is a growing demand for psychiatric advanced practice nurses in a variety of treatment settings including outpatient clinics, acute inpatient units, partial day programs, prisons, long-term care facilities, and private practices. Our psychiatric/mental health APN curriculum will prepare you to provide comprehensive mental health assessments, as well as diagnosis and treatment of mental health disorders across the lifespan. Therapeutic treatment modalities include psychiatric medication initiation and management, as well as individual, family, and group psychotherapy. As the population ages, there is a growing demand for nurse practitioners to treat older adults. Adult-Gerontological Primary Care Nurse Practitioners will learn to identify physiological changes and meet the needs of older adults. The U.S. Department of Education requires that we disclose certain information about academic programs that do not lead to a degree (e.g., certificate programs) but that prepare a student for gainful employment in a recognized occupation. Each Post-Master’s Certificate at Monmouth University is defined as a gainful employment program. Click here to review the required disclosures. Should you require additional information about these gainful employment disclosures, please contact the Financial Aid Office. 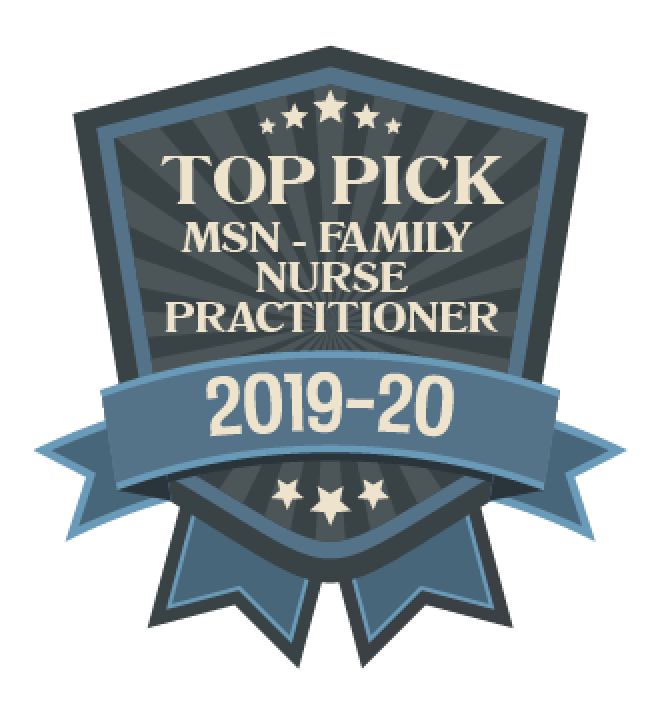 Monmouth’s Family Nurse Practitioner track within the MSN has been selected by Graduate Nursing Edu as one of the top nursing programs in the Northeast.